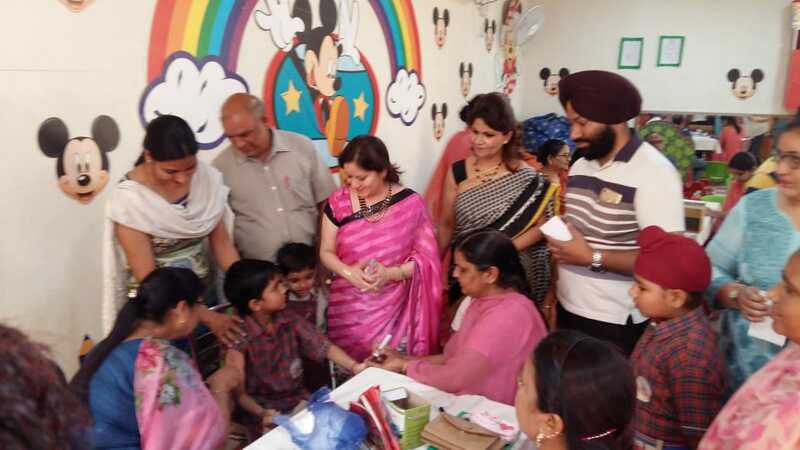 A two Day Measles – Rubella Vaccination camp was organized at DAV International School, Amritsar on 18th & 19th May, 2018. The camp, in collaboration with Central and Punjab Govt., was organized under the tutelage of Principal Anjana Gupta. On the first day, 1250 students of Std.VI to X were vaccinated and 1820 students of classes Pre-Nursery to V on the second day. Measles and Rubella are life threatening. The Measles virus can cause diarrhea, pneumonia or even death among young children whereas the congenital rubella syndrome in pregnancy can cause abortion, still birth and intrauterine growth retardation. If children aged between 9 months to 15 years are vaccinated, they can be saved from these deadly diseases. Considering the vitality, this vaccination was given free of cost by the Government of India. The two day camp was inaugurated by former Health Minister Ms. Laxmi Kanta Chawla. 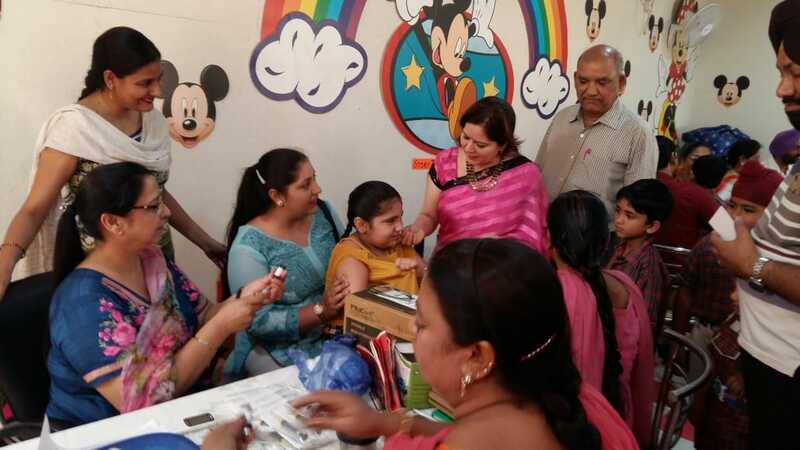 On this occasion, she interacted with the parents and said that they need not believe any rumor about the side effects of the vaccine as it is safe and effective. Principal Anjana Gupta too applauded the efforts of the Government and informed that her prime aim is to get the students from Pre- Nursery to X standard vaccinated during these two days so that the syndrome can be eliminated from them. The vaccination was done by Asha Workers under the supervision of SMO, Verka Block, Dr. Vijay Saroa and Mr. Sumit Sharma, Block Health Educator, Verka, in the presence of health officer, S. Rajbir Singh. On this occasion, Dr. Ramneek Dhaliwal and Dr. Kanwaljit Kaur, Nodal Officers Dr.Ram Singh & Dr. Gurbir Dhillon were also present to cater to the needs. Mr. Sumit Sharma, expressed his gratitude towards Principal Anjana Gupta for her kind support. In total, 3070 students were benefitted from this camp which made it a huge success.